Alas, losing weight after menopause sometimes isn't all that easy. For one thing, the rate of women's metabolism after age 50 tends to decrease. So, besides the other "challenges" aging presents, we also have to put up with this? Apparently, yes. For shedding menopausal physical "baggage," you may find any of these four steps useful: getting more exercise (hooray for the daily walk! ), monitoring your overall caloric intake, adding more veggies and fruits to your diet (huge! ), and finding ways to eat a bit less. A good first step here? Establish the approximate number of calories you need to maintain your present weight. To find that out, just click on this link: losing weight after menopause. After keying in your height, present weight, and level of activity, you’ll get your daily weight-maintenance baseline figure. From that number, the program deducts 500 calories to arrive at your weight-losing caloric "allowance." If you adhere to that, you could possibly lose a pound a week. In a year, those modest (and fairly painless) weekly pounds could give you up to a 52-pound weight loss. Not too shabby, right? Although perhaps far more than you care to lose. So, how will you manage this deal? One obvious way is to pay attention to what and how much you ingest: see counting calories to lose weight. You can also burn some calories with physical activity or perhaps arrive at a workable combination of both. In time, you'll discover what does the job best for you. Another step? 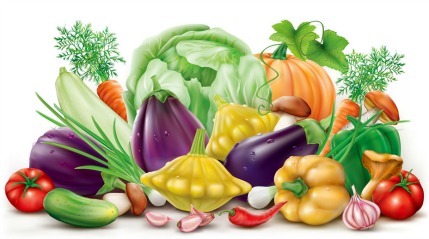 Add more vegetables to your diet. Although they require some preparation even for eating raw, veggies are one of the best foods around for losing weight. Fiber, vitamins, generally fewer calories: what’s not to like? Plus, by filling you up quickly, they can help you eliminate extra calories from less-helpful sources. So, if you're one who thinks of most fruits and veggies as something mainly for rabbits, now might be a good time to trash that attitude. Perhaps you could begin your turnaround by eating more (and different) salads. For example, have you ever tried combining sliced raw fennel, blanched green beans, and orange segments with just a touch of dressing? Fabulous! If you serve your meals on smaller plates, you’ll be less able and even perhaps less inclined to give yourself larger portions than you really need. Even if that sounds just too simple, maybe absurdly so, why not give it a shot? It sometimes works pretty well. When, despite smaller plates, you find yourself with more food than you want or need, Do Not “clean up your plate.” Yes, I do understand how difficult such a course may be for you. Very possibly, you've been guilted a bit around the food issue—possibly stemming from your parents’ or grandparents’ experiences in earlier times or simply from knowing that so many people have too little or even go without. Thus, you may find it almost impossible to "waste" food. Still, one of the secrets of losing weight after menopause is to behave (with food) in a way that your parents/grandparents and even you yourself might consider wasteful. But remember that you can store that food as leftovers for the next day or to pop into a tasty soup in a day or two. And here's a related tactic: from your new smaller plate, try removing a single bite-size bit of food. Toss it, give it to the pooch, save it for the aforementioned soup—whatever it takes to keep that bite out of your mouth. After all, we’re talking just one bite here, which isn't really such a sacrifice (or waste). Then, maybe work up to another bite or even another; if you don’t dwell upon them, you may not even miss those bites. So, you see how effective these little steps could be, right? With very little deprivation, they can ease a lot of calories out of your diet. 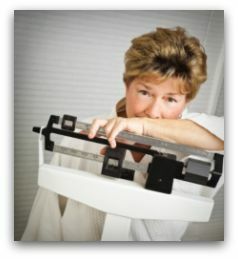 If you then add in some moderate exercise, you may find yourself losing weight after menopause with minimal angst. And how cool is that?